Recently I had a long time customer of mine send a HIDiamond P3 power cable to me for repair. Somehow movers BROKE the end off of an IEC plug! Gorillas? Upon inspection I determined (with a file and some effort) the cheap IEC was silver plated brass. Yep - bright brass. Anyway, when I disassembled the cable I was frankly stunned at what I found. It is made from 4 conductor + shield mass produced mains cable. Efforts were made to sand off the markings on the cable to hide its' identity. The individually insulated conductors are sheathed with PVC while the overall jacket appears to be the same. What was astonishing to me was the "workmanship" at the termination. I have attached a photo of the termination methods for your inspection and comments. Pete. You do tremendous work and your value/dollar is outstanding. TWL rocks!!! So, what do you expect to find? The materials that make up the outside are not always cheap. Labor. Etc. I know nothing about the actual wire in either case. I guess you expect to see thicker wire? I agree with Dave's initial assessment- TWL rock. I've got a small sampling of power cords other than stock stuff, and the TWL and Wywires are noticeabley the best of the group. Pete knows what he's doing. Uh, no. I have come to have no expectations many years ago. 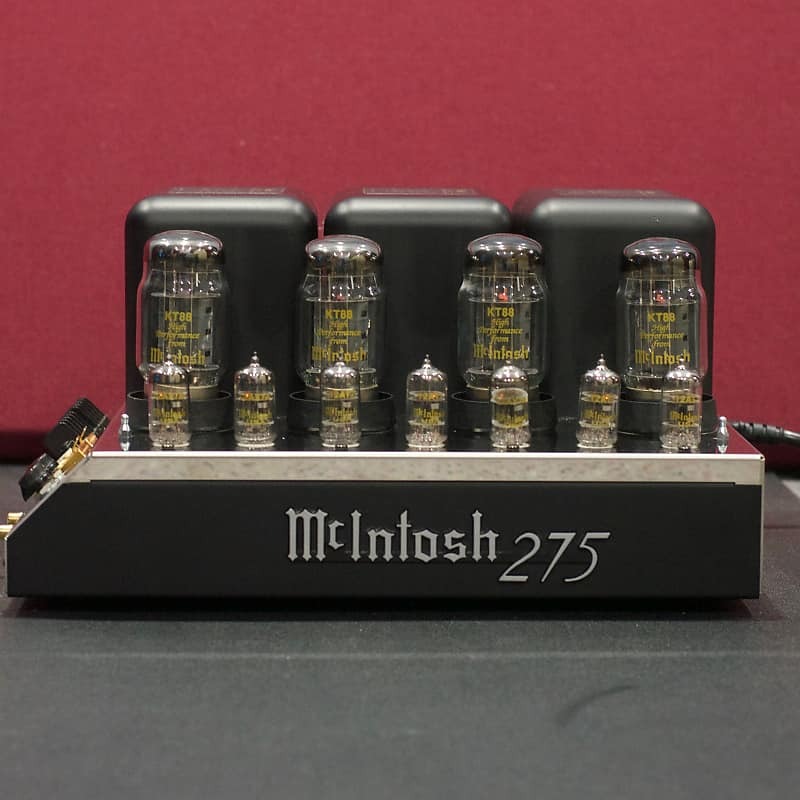 I rebuilt a pair of $8000.00 speaker cables for a customer that wanted 2’ removed to better fit in his new room. They looked great and had very nice connectors. Advertised as being made from special alloys, silver and gold. They were enclosed in some clear PVC tubing that had the same markings as the tubing available in big box hardware stores. The conductors were stranded red THHN 12ga wire. There were 3 runs in the + leg and 2 runs in the negative leg. There was one run of 24ga silver wire (sterling, fine... I don’t know) in Teflon tube in the + leg and one run of solid 18ga PVC insulated Carol wire in the return (-). Solder terminations were hard as hell silver colored that accounted for “alloy”. At that time it was probably Sta-Brite (4% silver, 96% tin). The spades were gold plated copper. Ergo: the letter of the ads was met, so no one could call foul. They did sound very good. So what? $8K for less than $50.00 worth of materials?!?! What was disconcerting to me on the HIDiamond cable was the slimy electrical tape and solder joints that looked like they were done by a 12 year old. The styrene plastic connector shells was pretty iffy, too. It has a distinctive smell when heated. Good old styrene monomer. You and I both understand that our customers deserve more because we don’t expect to get rich doing what we do. None of it surpises me. However I find it funny to hate on the cat shredded cord for the connectors. Those are my favorite connectors out of all connectors ever. The IEC I might consider going different on but I dunno... so far IMO you can’t do better. I don’t like exotic plating. And I prefer compression. Also I prefer connectors with the most straight forward shapes. The only way to do better is to use PowerCon 30A units. (Which no one has gear for) Anyways, very intentionally I choose those connectors. I wish there was an IEC unit with better grip, they are all kind of pathetic. I’m not “hating” on anything. I am disrespecting. Hate is a worthless emotion with no positive outcome. What I find hard to swallow is cheap, off the shelf wire terminated with junk connectors being marketed to gullible audiophools that are driven by hype. The Neutrik 250VAC @ 32A is the finest connector available IME. I am building a sextet Uber now with that connector this coming week. I love ‘me and they are relatively inexpensive. 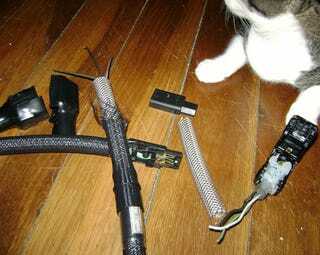 If you find the original posts about the cat and the cable they make it sound like the connectors are garbage. I have to agree with Dave. What I find most distressing about this is the just out and out sloppy workmanship put into what is being sold as a premium Audiophile product. Ya, there’s no reason to be sloppy. Electrical tape is very tricky in a cable end. If there’s any way to avoid it, it should be. Heatshrink is great stuff. But some insulation melts very easy. Also you can use crimp ferrules if the gauge isn’t too big that you can’t get the crimped ferrule in. Sadly you can’t get most crimped ferrule sizes into the year plug clamp system. That’s one of my biggest gripes, weak clamp aystems. Most of them are pathetic in most plugs. They go limp and have to be retightened. A good builder will do it twice, but they’re still bad. My fav connectors (found on the cat cable) can be wrenched really good. I come back and retighten but find they never come loose like the marincos etc. Some of the hospital ones are really bad. The worst I tried was a spring loaded one.